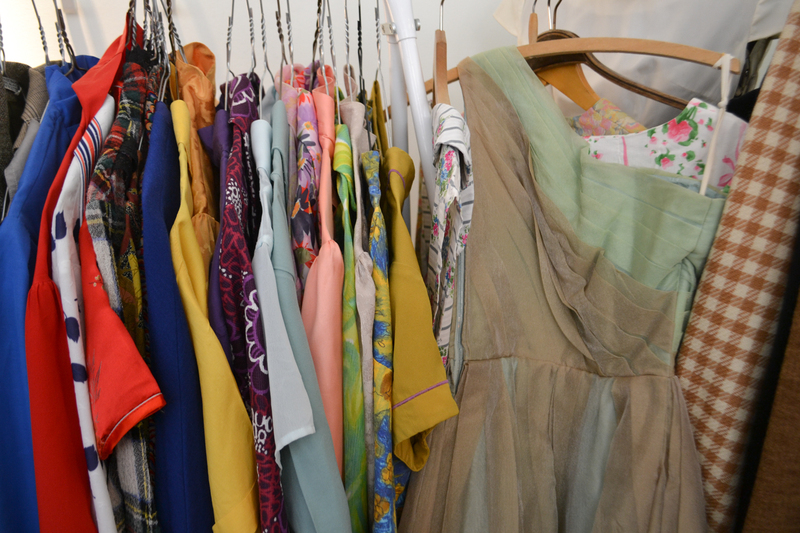 I’ve written a guest post on my Top 10 Tips for Vintage Shopping over at BestofYou, full of my best advice on things to think about and how to be a great vintage hunter. 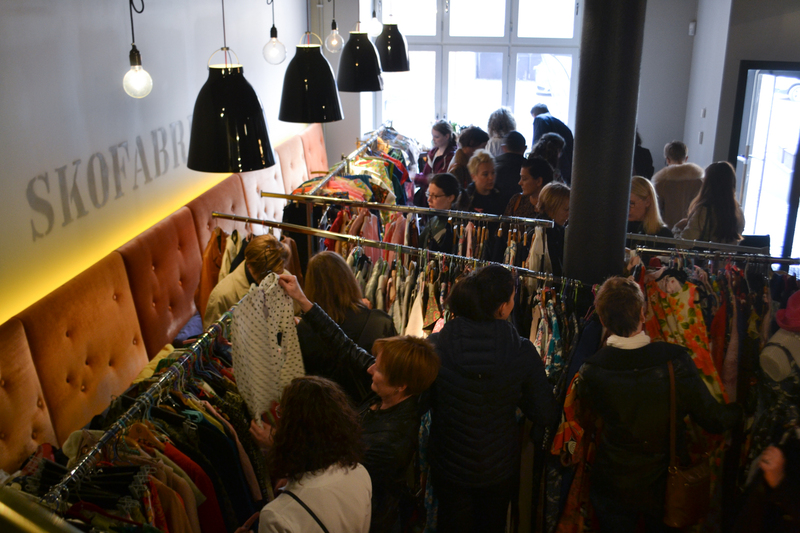 I can’t think of a better time to share my recent trip to vintage heaven, the Stockholm Vintagemässa 2016. 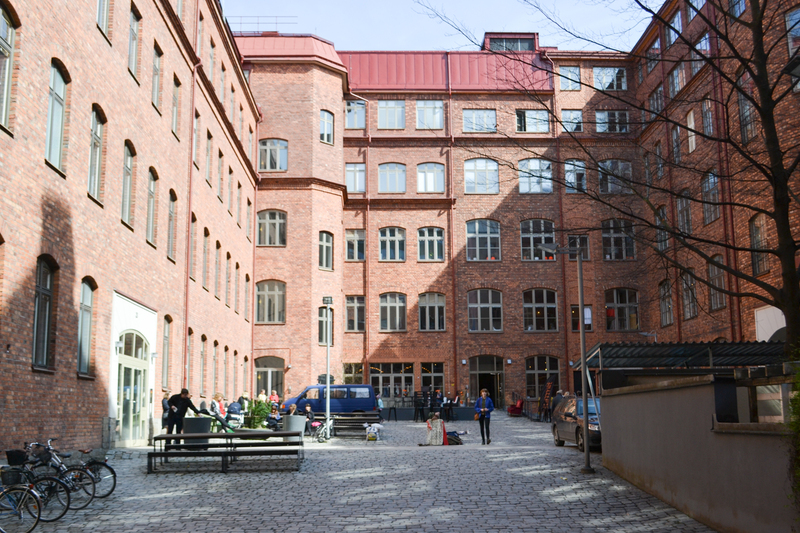 Stockholm Vintage fair is held twice yearly and is hosted by the lovely Lucie Watson Donnert of My World of Vintage. 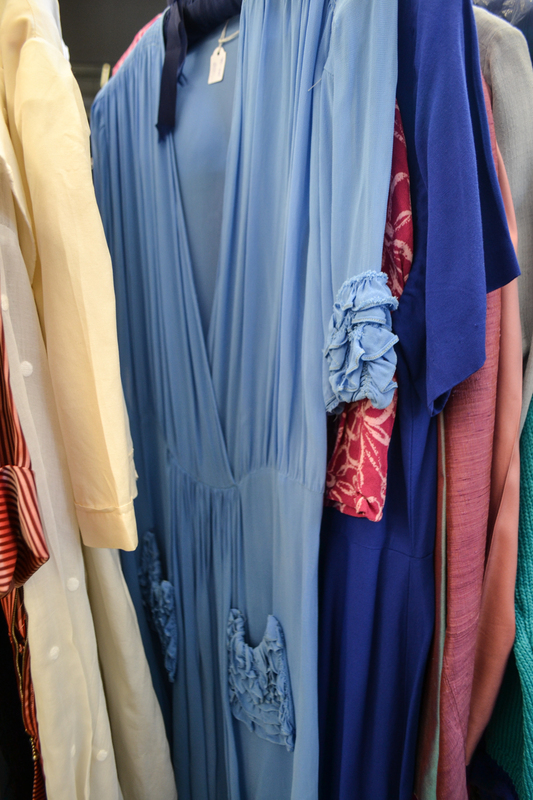 Individual shops showcase a bunch of amazing vintage at all kinds of price points and it’s worth the entry fee just to gawk at the well-dressed shoppers. 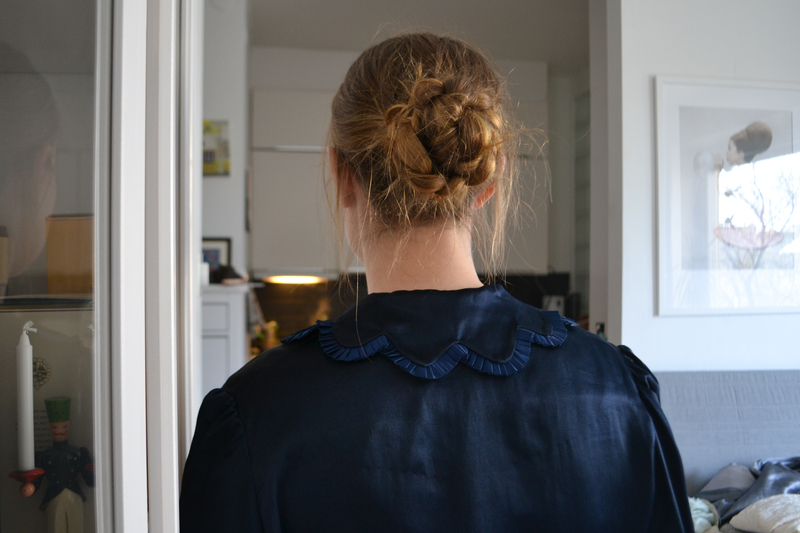 I pulled out last year’s best find and put my hair up in a quick braided bun to show off this fantastic collar. 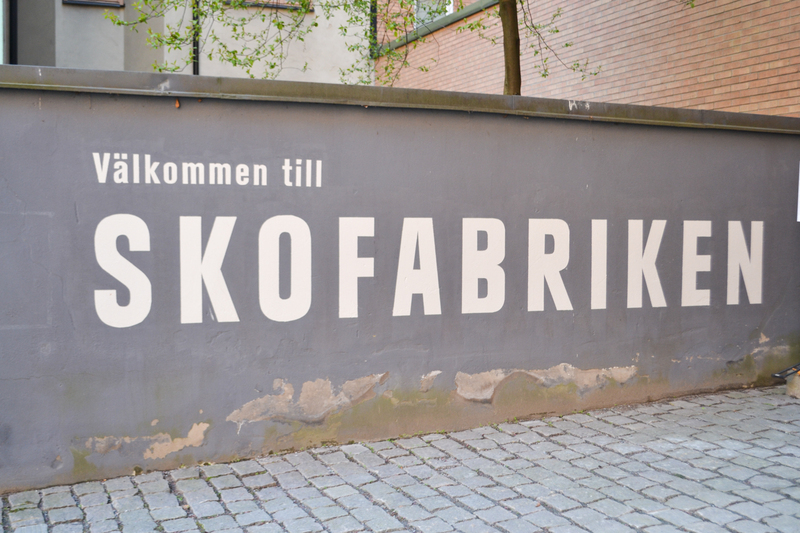 The vintage fair is held at Skofabriken which near my neighbourhood. 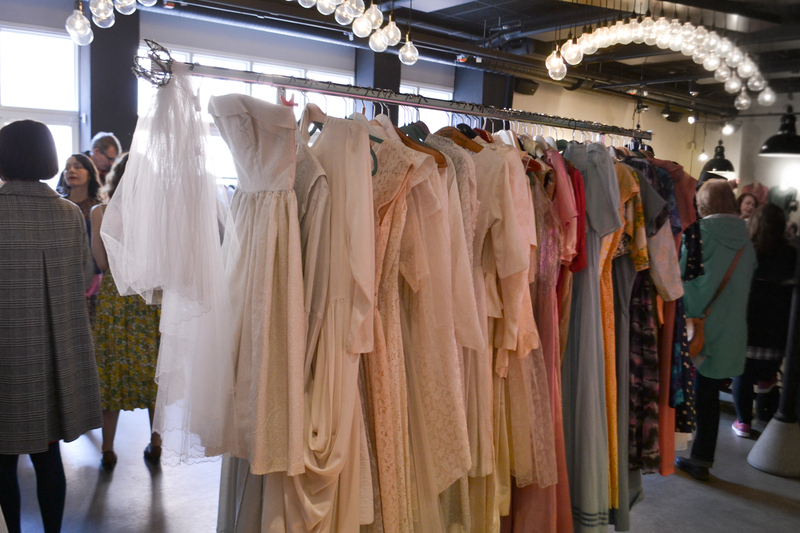 As soon as you enter you are surrounded by beautiful dresses, vintage items and lots of people. It can be overwhelming, but there is an upstairs with even more rooms which is a good escape from the initial crowds. I tend to go a few rounds, first to get a brief look and nab any pieces that really stick out but generally to establish the price points of different stalls. 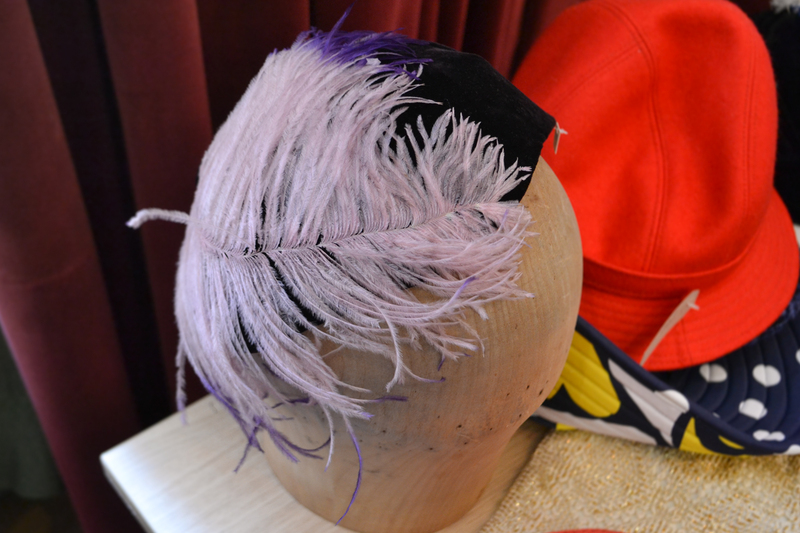 The second round is to get a closer look at everything and perhaps try things on. I usually have the energy to do a super quick third round to check back on items I am still unsure about. This 1930-40’s dress was one of my favourite pieces. 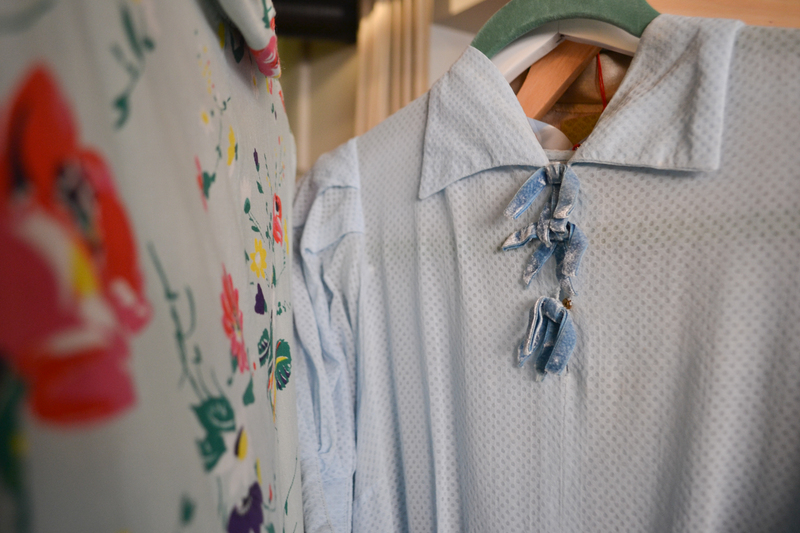 I feel hard for the most gorgeous dove blue and those silk velvet bows at the collar. 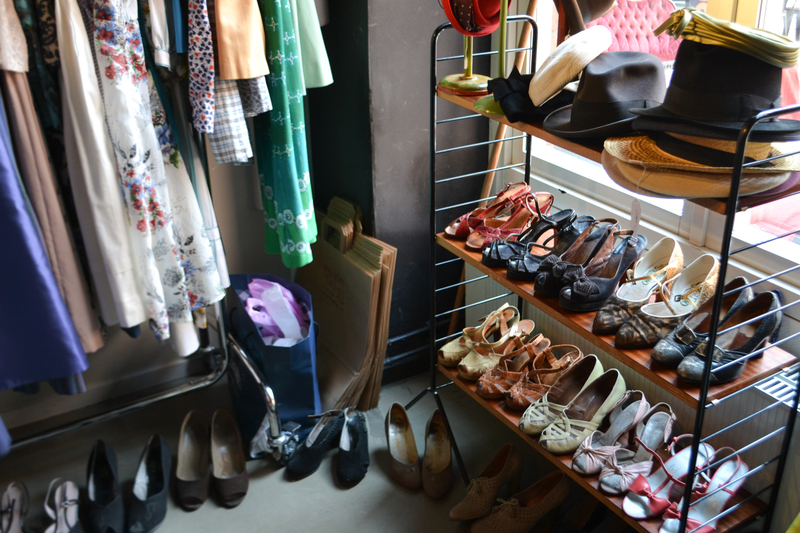 This stall had the best vintage but of course that came with price tags that sting, I wish I remembered what shop it was! This midriff from Good Old Vintage caught my eye. The colour of this dress was near florescent, a true wow-piece! 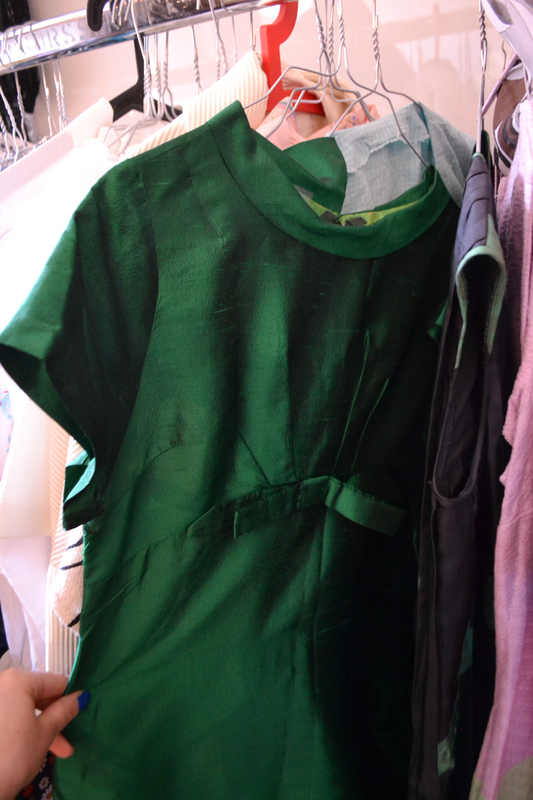 Some pieces were more subtle and elegant, this emerald coloured raw-silk ’60s dress would be perfect at a wedding or cocktail party. This dress from POP Stockholm was too big for me. 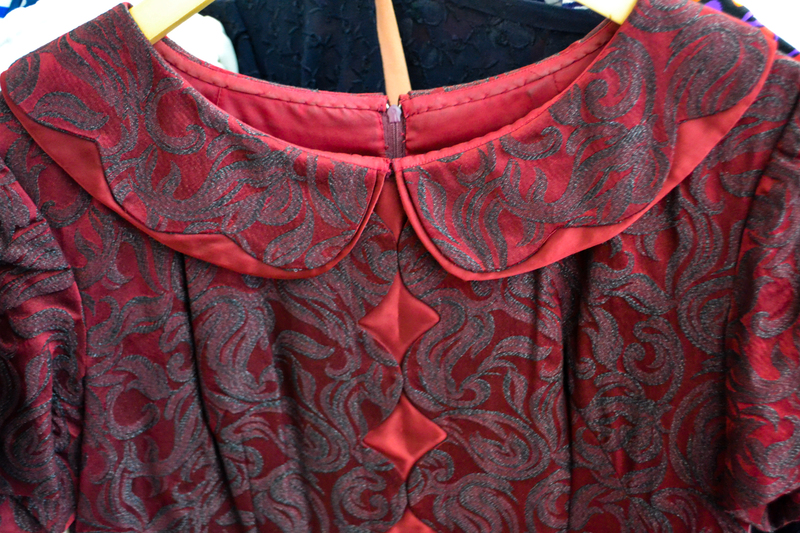 Shame, I love the scalloped detailing! 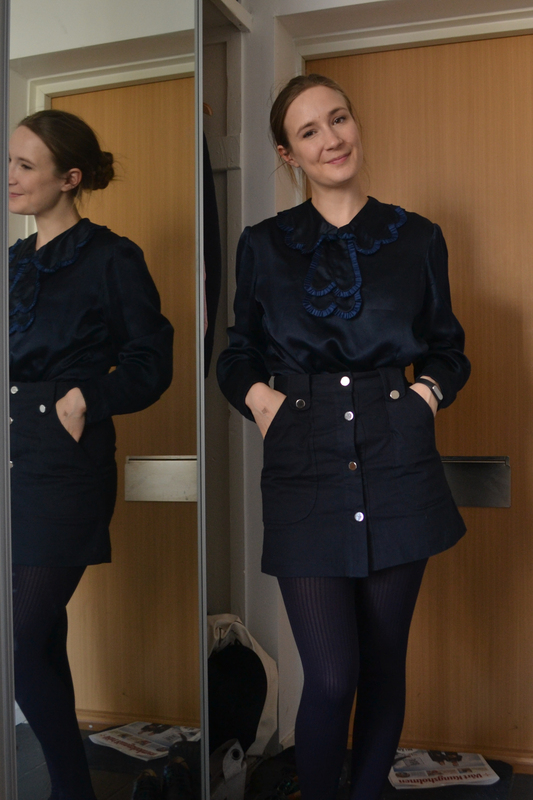 I kept returning to this fantastic lantern patterned dress but left it in the end. 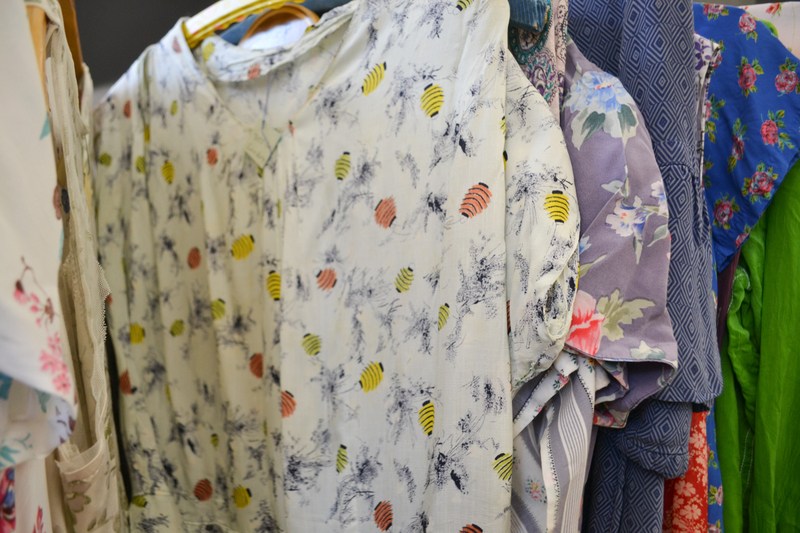 This stall had some genuinely old pieces, many delicate 1920’s dresses that you have to handle gently like butterfly wings. I had a wild fantasy of splurging on this floaty 1930’s dress but the ruffled pockets had created unfortunate tears in the thin fabric. Still, imagine swanning around in this with a cocktail! 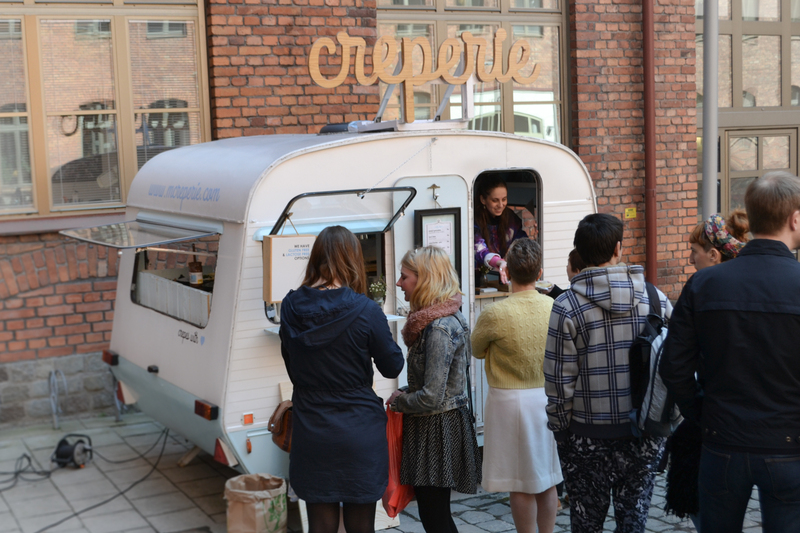 This year a food truck was feeding the hungry masses on crepes. The queue was too long for me so I collected my findings and headed on home. 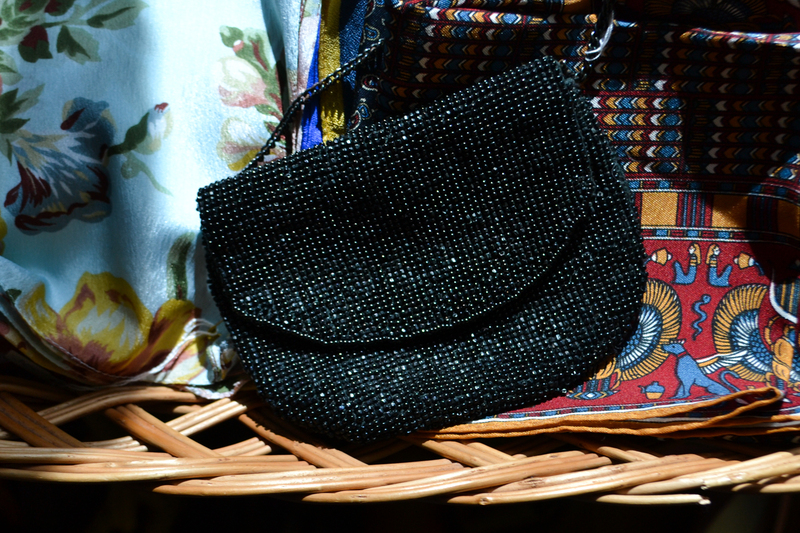 I’ll share what I got soon, a two-piece 1950’s eye catcher and of course some silk! This looks so amazing! 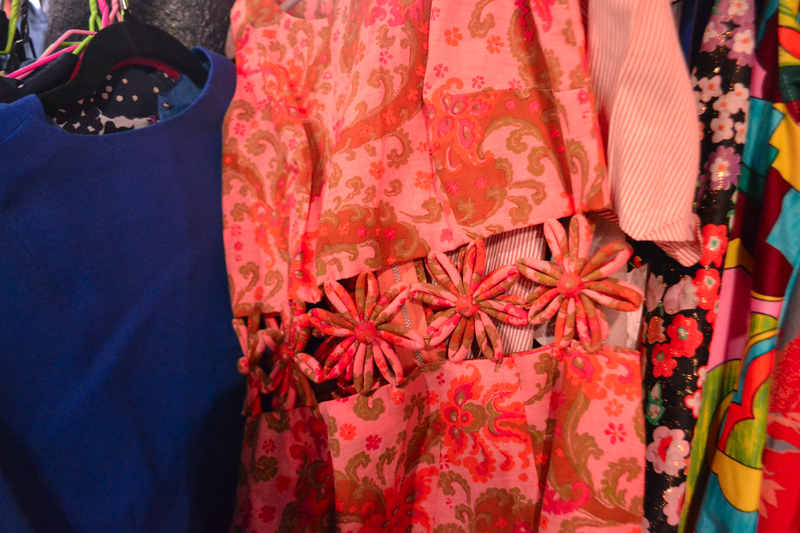 I love vintage clothes, and all the colourful patterns. What a great idea!